I’m a new contributor over at Modern Alternative Pregnancy, a website designed to share information to help you make informed decisions for your pregnancy. My first post is up! I take a look at the newborn baby’s first bath. 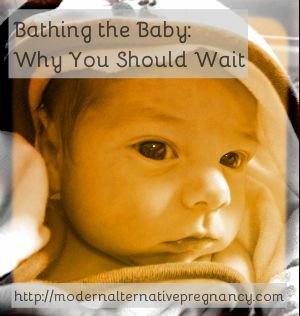 I tell you why you may want to delay it so if that is something you are curious about, head over to Modern Alternative Pregnancy and read up! Take a look at the past month’s posts all about newborn care procedures while you’re there.